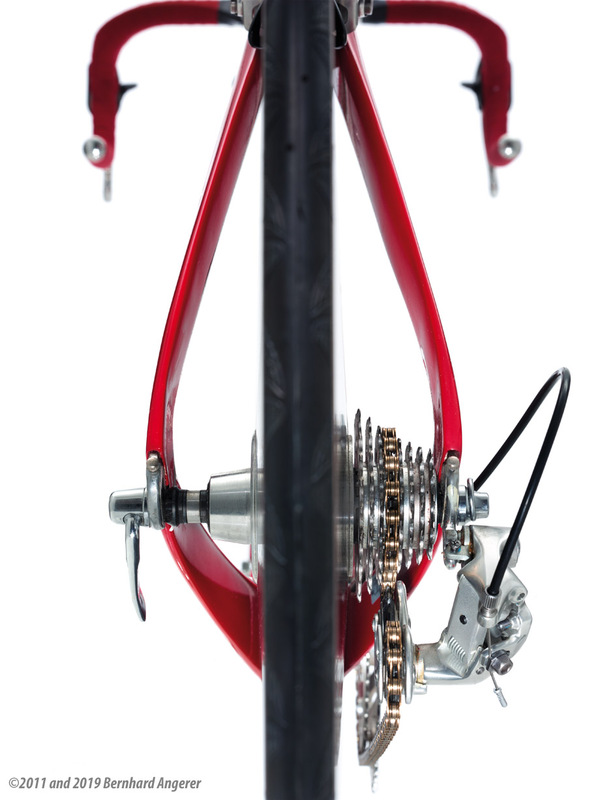 It is said that “N+1” is the correct number of bicycles you should own, N being the current number you actually have. This has seemed to be a reasonable approach for many of us (although this writer discovered some unwarranted family resistance at 14 examples) but there are people who let things get out of hand a bit. 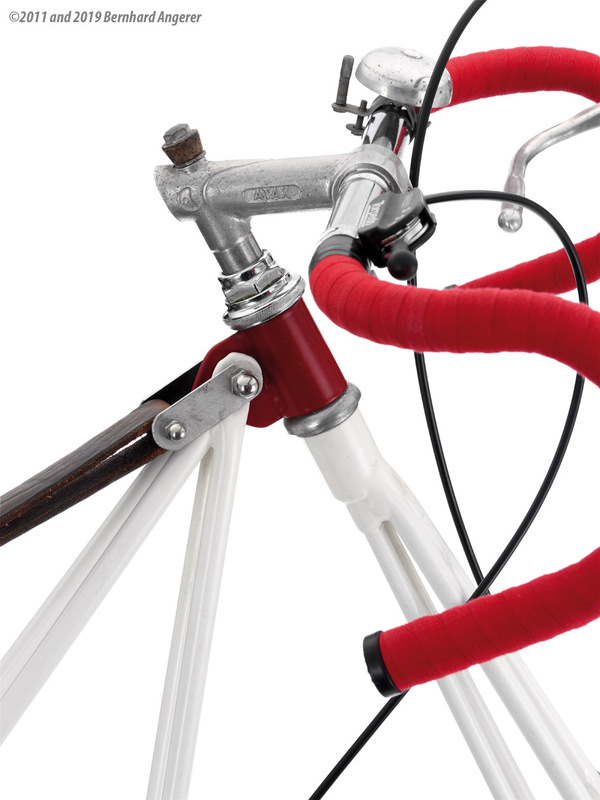 The Embacher Collection, the subject of “Cyclepedia”, is the result of one man's interest in modern bicycle design. It is wonderful, breath-taking and crazy. Michael Embacher is an Austrian architect/designer based in Vienna. After experiencing several thefts of bicycles, he decided to buy something used and went online to search. 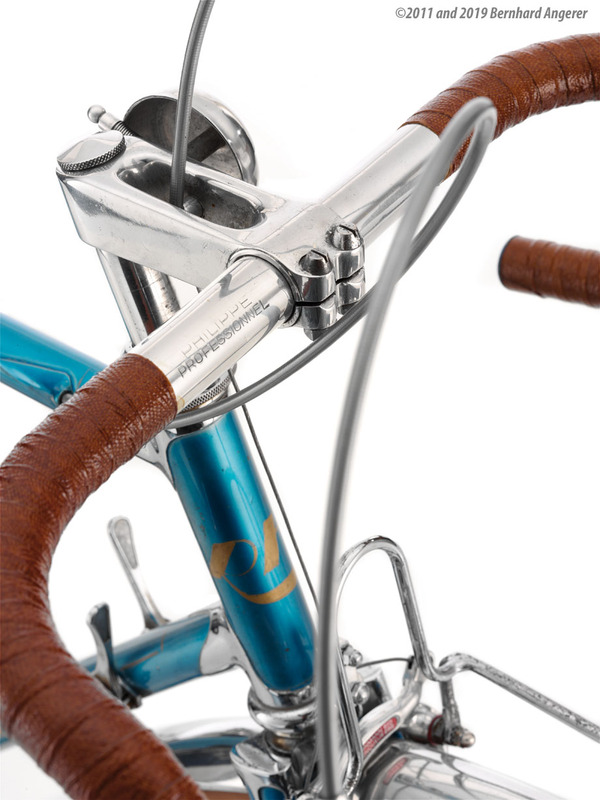 He bought a 1979 RIGI Bici Corta for 700 Euros because, as a designer, he really liked the way it looked. 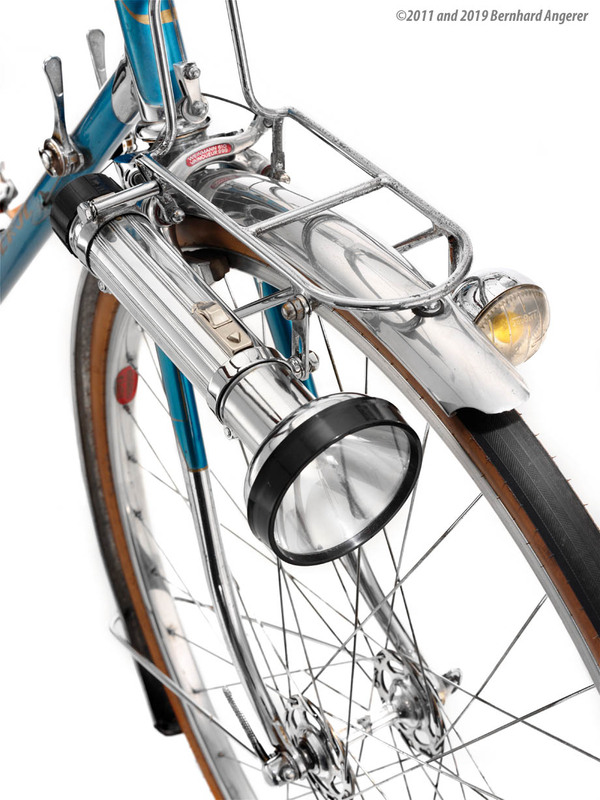 It is made of stainless steel and features a very short wheelbase allowed by a dual seattube. 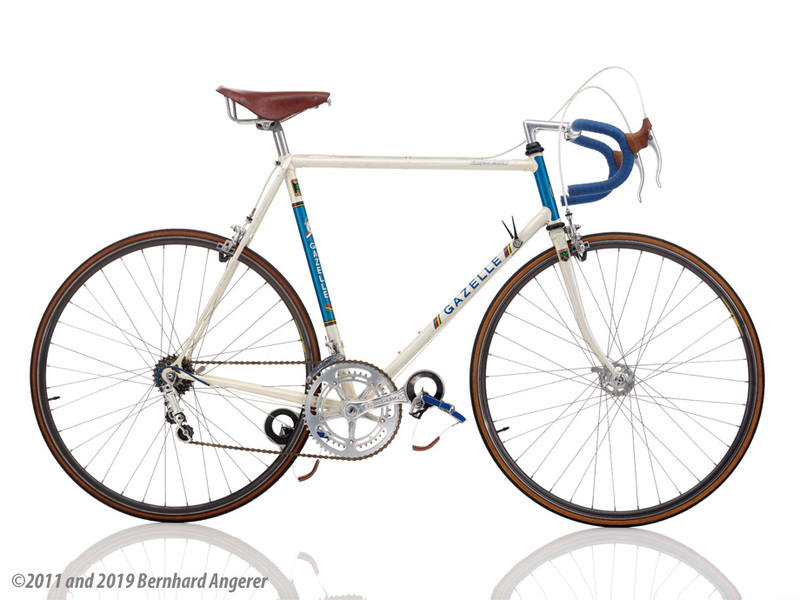 He knew nothing about it but started to receive e-mails from people telling him what a rare and interesting bike he had (and at a bargain price!). From this acorn grew a collection numbering well over 200 examples. 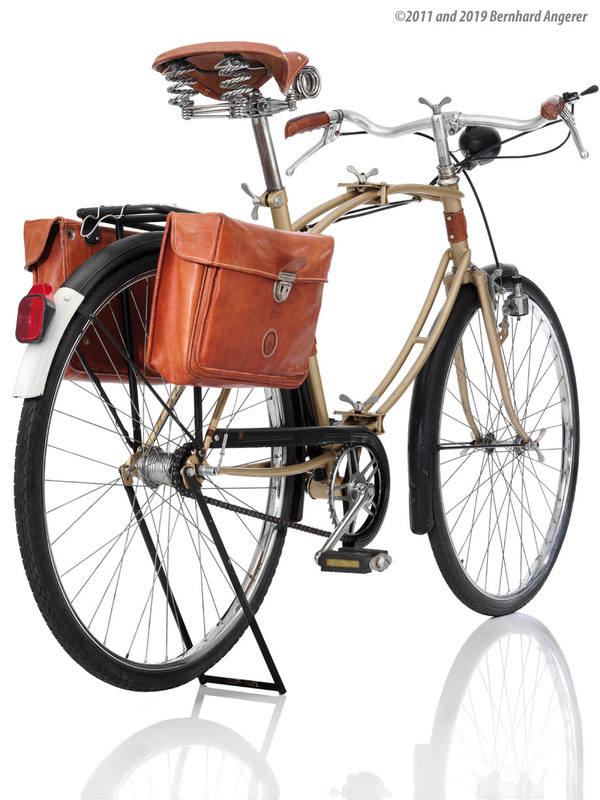 Embacher shared his bicycles online at a website and in 2007 a German-language book, “Smart Move”, appeared, highlighting 50 novel bikes. After the book was well-received, he self-funded an exhibition that saw 12,000 visitors in three weeks and which launched him as a non-pareil bicycle collection. A bigger book, “Cyclepedia”, and an app for iPad was released at the same time to rapturous comments, covering 112 bicycles. 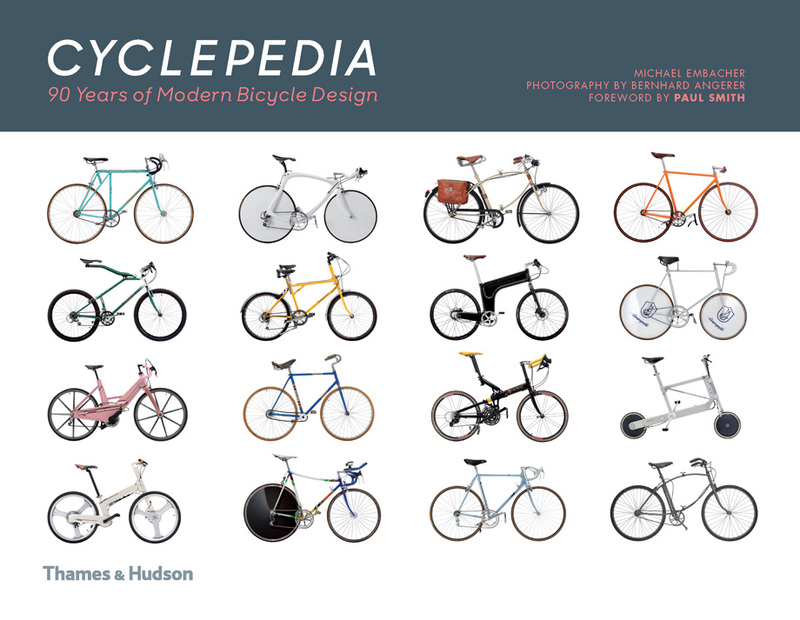 Chronticle Books published an English version of the book in 2011 and Thames & Hudson will release the newest edition of “Cyclepedia” on May 14. Herr Embacher has an interesting attitude towards his bicycles, many of which are unique examples or otherwise rare examples of design or technology—he notes that bicycles are to be ridden and all of his are roadworthy and he does in fact ride them from time to time. This has unfortunately resulted in some thefts but as mechanics in Vienna know about his diverse collection most have come back to him. Alas, 10 have rolled off not to be seen again. 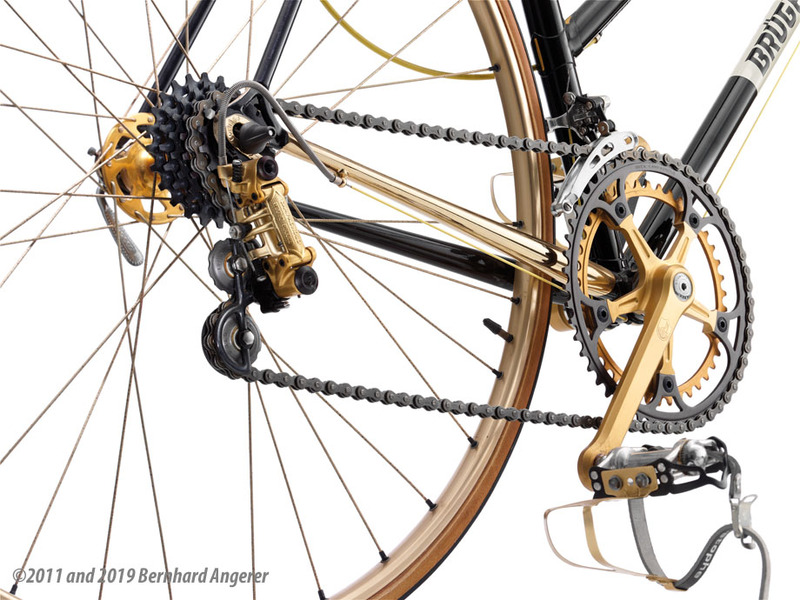 Herr Embacher enjoyed showing off his bicycles to the public in museum settings and there are so many treasures that there were simultaneous exhibitions at the Portland Museum of Art in Oregon and the Austrian Museum of Applied Arts in Vienna in 2013. 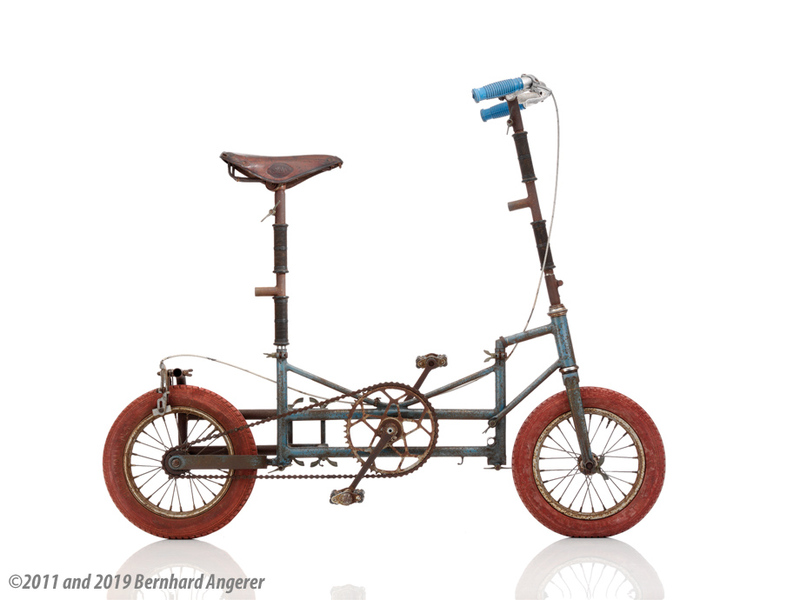 I had the opportunity of seeing the Vienna exhibition and was astounded by the variety of two wheeled conveyances that a decade of dedicated collecting had accomplished. 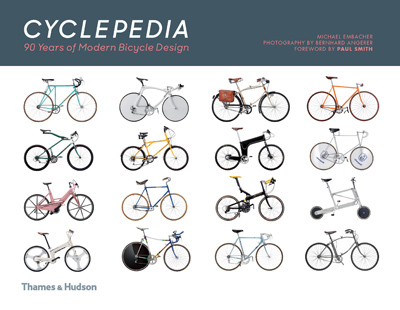 As the passion of an architect much of whose interest in bicycles is focused on design, you would expect that any book about the collection would be a striking one and “Cyclepedia”, a smallish-format hardcover, is certainly beautiful. The reader first comes to foreword by fashion designer and bicycle enthusiast Paul Smith, followed by introductory comments by Michael Embacher, then a brief history of bicycle design by Martin Strubreiter and Michael Zappe. 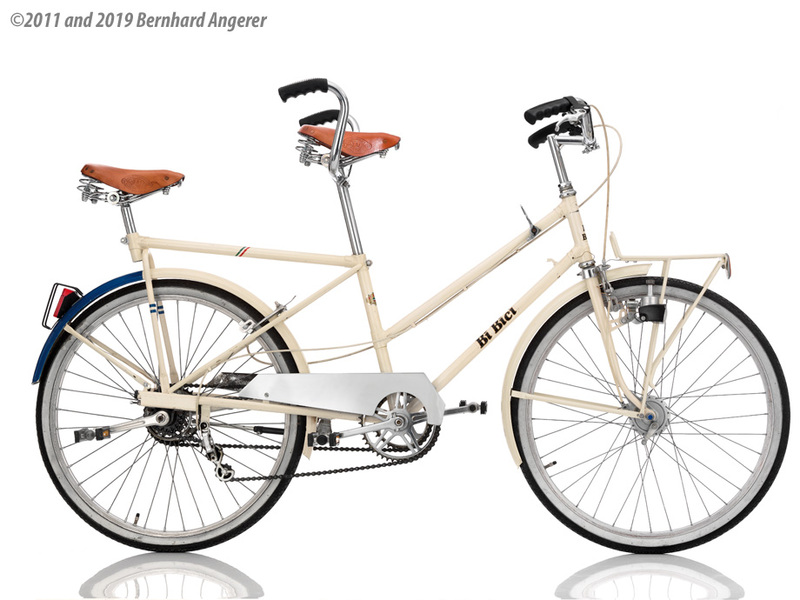 The latter duo are also responsible for the impressively summarized text description of each bicycle, pointing out what it makes it noteworthy. It is also apparent that in numerous cases, the bicycle in question represented perhaps the triumph of optimism over engineering. But what really makes the book are the superb photographs—500 in all!--that Bernhard Angerer produced for the book. Every one is flawless lit and has a white background that highlights details and well as a general view. These photos are so good that they are also marketed as a box of postcards. 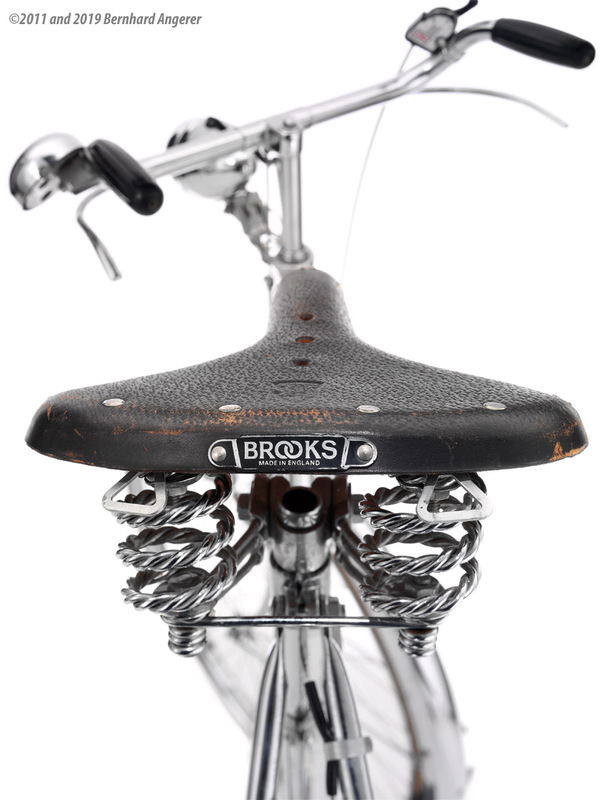 Looking at the table of contents, the reader can discern no order in the arranging of the bicycles. 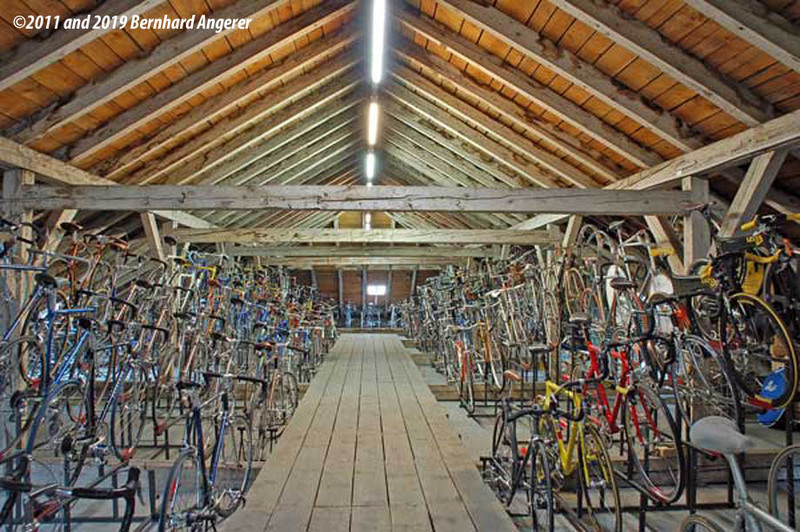 As the author writes: “This selection does not attempt to categorize bicycles too prescriptively, or show them chronologically. 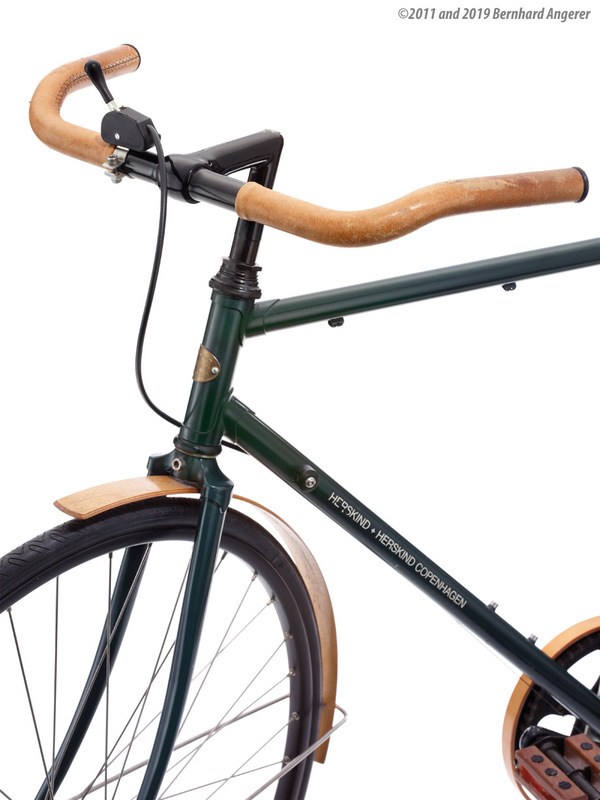 It offer instead a broad spectrum of what the bicycle can be and the stories surrounding each model. 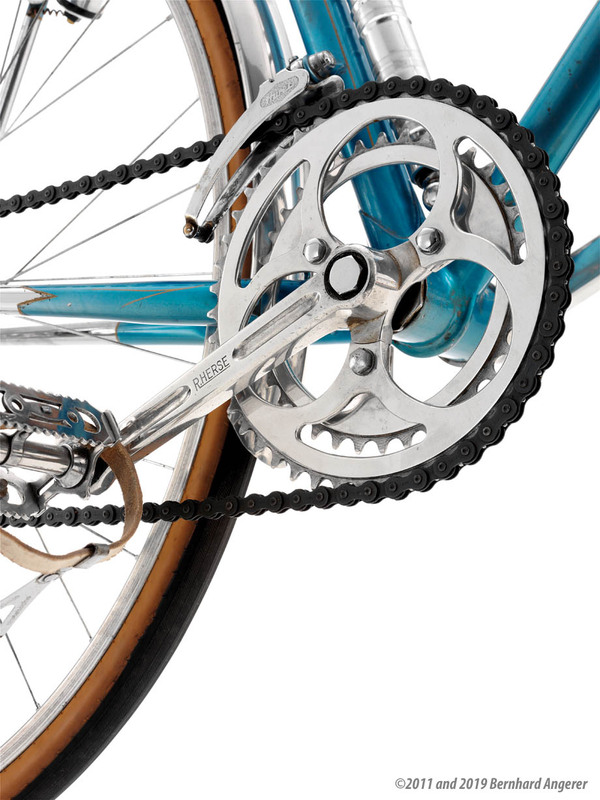 The playful, experimental and innovative elements of a bicycle are as important as who has ridden them and what roles in history they have played.” An index might have made things a bit easier for readers though. 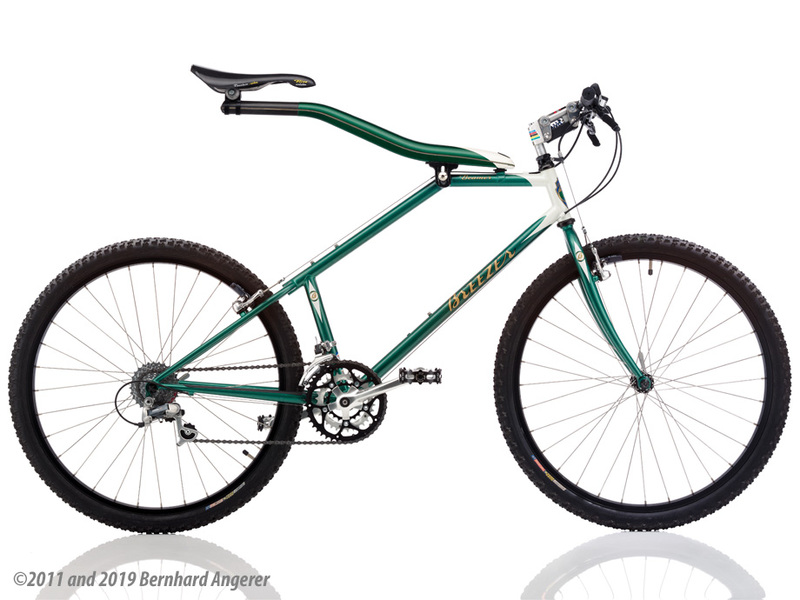 "They include racing bicycles with exquisite details, folding bicycles with conspicuously clever mechanisms and touring bicycles designed with particular care and attention for longer journeys. 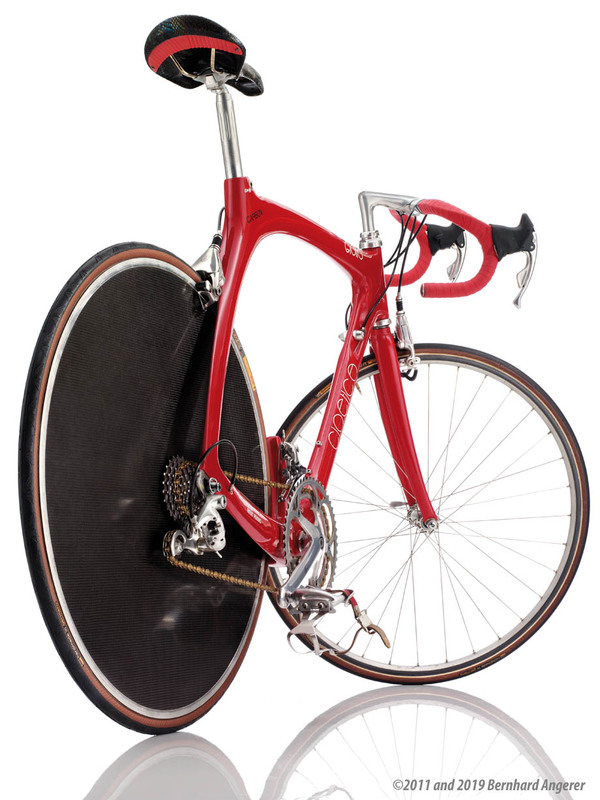 Also featured are those bicycles that look extraordinary even if their performance is average, track bikes with no brakes that serve as speed machines, and bicycles that defy categorization." Needless to say, one can only recommend this book in the highest terms as a wonderful story of a great collection and a very fine example of book design and photography. There is also another reason to acquire this fine book, since it is the only place now where you will be able to see the pearls of the Embacher Collection in their glory. 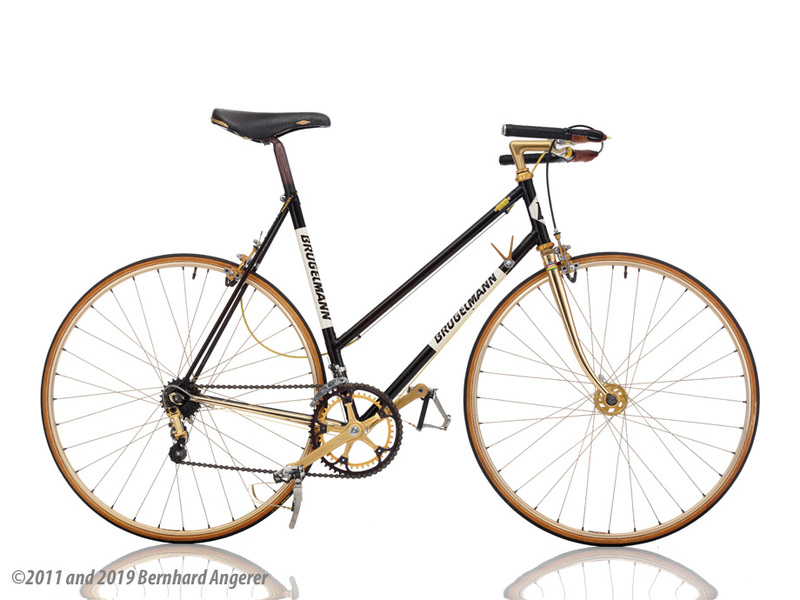 Although this review is written mainly in the present tense, on May 20, 2015, the entire collection of 203 bicycles was sold at Vienna's noted auction house, the Dorotheum, for around 473,000 Euros.